My interest in fossils began from the age of seven and it’s turned out to be an interest, (along with playing guitar!) that has stayed with me for most of my life. As a student, the Jurassic Coast of Dorset was right on my doorstep and I’m fortunate to now be living back here, after living and working in Sussex for over 30 years! I joined UKAFH as a hobby group but now, as a retired headteacher, I have the time to help run the organisation and lead field trips. It’s great fun and UKAFH hunts are very family friendly and highly recommended. Fossil mad. I have been since my grandparents hid fossils in their back garden for me to find at the age of 7. Since then I have traveled all over the UK and abroad in search of prehistory. I love the hunt, the adventure of it all!! 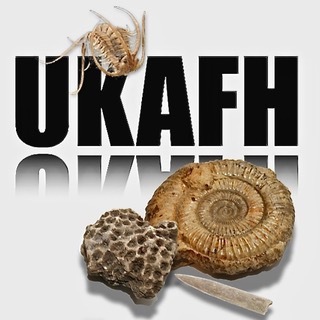 UKAFH is great because it allows the as adventure to be shared with other fossil lunatics – and has exposed me to so many new localities across the UK. As a little kid my dad used to take me and my brother out to look for fossils and minerals. Then we grew up and it just seemed to stop – for about 30 years. Then I learned of the Jurassic coast and how easy it was to find ammonites and took myself off on a long weekend of beautiful Dorset countryside and seaside and a couple of organised fossil walks. The sense of wellbeing and simple happiness of it all took me back the next year. Then I tried fossil hunting on my own once or twice and, poking around on the internet to learn more, I found UKAFH. I’m really enjoying being a member; the great information and advice, well organised, fun fossil hunts with lots of different like-minded people and getting outdoors. I’ve had some nice finds too and am learning a lot along the way. Look forward to seeing you all soon. I’ve been fascinated with dinosaurs and prehistoric life from a young age and when I saw Jurassic Park at the age of 9 it cemented my interest for life. I love reading about new finds and species, and when I took an Open University course on the subject of fossils and prehistoric life it really opened my eyes to all the exciting kinds of fossils there for the finding! That course was where I met Craig and so my affiliation with UKAFH begins! In “real life” I work in IT – I even owe that to Jurassic Park believe it or not – Lex became my hero at age 9 – and now at 30 she still is! I am looking forward to meeting more like-minded people, expanding my knowledge, and perhaps even finding some cool fossils of my own, especially at my local site of Aust, just down the road from me. Happy Hunting! I am Kellie and my passion for dinosaurs began pretty much as soon as my son Euan was born – they are his greatest obsession and I have had to continually learn to keep pace! We have both been involved with UKAFH for a number of years and go on as many hunts as possible. Of course I have my own paleontologist for company! Outside of my two jobs I am also as PhD student studying the Scott Expedition to the South Pole in 1910-13 ( and yes- they found the first fossils there in 1912!) I am hoping to help with some hunts here in the North West and look forward to seeing you! Like most geologists my fascination with rocks started early on, from a young age I could normally be found looking for new and interesting rocks. This led to academic studies in geology at A-level and on to Royal Holloway, University of London where I gained my MSci. During my studies at Royal Holloway I participated in many different field trips, ranging from the volcanic systems of Tenerife, the wet and windy slopes of the Scotish Highlands to my six week mapping project in the Italian Alps. I also joined CASP as a field assistant, collecting geological data, in the Canadian High Arctic Islands on a summer trip. This trip focused on understanding the geological evolution of the Franklinian and Sverdrup basins and involved collecting many geological samples and fossils. From my studies at Royal Holloway I went on to join Neftex in 2011 as part of a team working on the regional geology of the Arctic. I worked as a Geoscientist on the North American Arctic, Eastern Former Soviet Union regions, with a focus on the Western Eurasia region. With a particular interest in the geology and evolution of the Barents Sea. Landmark Software and Services, a Halliburton business line, acquired Neftex in June 2014. Shortly before this I joined the Play Analysis team and presently work as a Geoscientist with a focus on collating and utilising Field, Lead and Play information. With more than ten years of experience in geology, five of which spent as a professional geologist, I am very much looking forward to working with you, running hunts and sharing in the excitement of learning about our geological history. Hope to see you soon! I found my first fossils as a child by looking through the gravel in my Grandparents’ driveway. Summer holidays from a young age often involved looking for fossils in different locations in the UK. I found my first Ichthyosaur jaw section on Monmouth beach when I was 10, The Jurassic coast quickly became one of my favourite places to be. I am now very lucky, spending almost every other week in Charmouth hunting for fossils (weather permitting!) I am currently learning fossil preparation. I’m a relatively new member of UKAFH, it is a great organisation I can’t wait to get more involved! My interest in fossils began when I was at college – my palaeontology tutor was bonkers and some of that has rubbed off on me: I’m bonkers about fossils. I love the feeling of finding a little treasure amongst the dirt; it’s like finding a diamond in the rough. My favourite spot is Lyme Regis and Charmouth – I love a good bleak, wintry coastline and a good ammonite! When I’m not working or fossiling, I can be found out and about with my camera, or trying to get the dog off something he shouldn’t be touching. I’m very excited to be a part of the team and look forward to meeting members of the UKAFH community. See you at the beach! I’ve bee a rock head for many more years than I’m prepared to share. I’m married with a 25 year old jazz singing daughter. I wanted an evolutionary biologist, but you can’t have everything. My collecting interests are: Lancashire crinoids, Kentish sharks’ teeth and Lancashire Coal Measure plants. I’m a bit of a maniac, when it comes to British Classic Fossils, however, and so can be found on chalk beaches, the North East coast of Yorkshire and anywhere else where I might find something. Other interests are: Napoleonic re-enacting, late 80s/early90s Indie music, collecting Victorian Palaeontological books and setting up as close a facsimile, as I can, to Darwin’s study in Down House. My wife clearly has a lot to put up with. As a child, I have a memory of the Mount St Helens eruption, this started my obsession with everything volcanic, which then turned into a love of everything geological after completing an A ‘level in Geology in 2003. Having completed a Global Hazard Geology Degree at the University of Derby in 2008, and then starting a MSC in Earth Science at the Open University in 2014, the passion for geology never wavered. I have a fulltime job as a nurse which I find rewarding and enjoyable, but my heart is shared with geology, I have an extensive collection of fossils and rocks of all types and from world- wide locations. From an early age I have included my children in fossil hunting within the UK and recently involved my mother and I now have change to inspire others and help find, collect and preserved the best of the fossils within the UK. From an early age I was interested in fossils and Dinosaurs, my interest was renewed when I moved to Faringdon, Oxfordshire. The reason being that I kept finding pieces of fossil sponge in my garden, what I did not know was that Faringdon is famous the world over for its fossils. Being close to Wicklesham Quarry many a Saturday I could be found head down trying to find more fossils for my ever growing collection. My best find was a Plesiosaur Vert which was found on top of a small spoil heap, still my best find to date. My aim is to bring the joy of finding fossils to more people, favorite place besides Wicklesham Quarry is Seatown in Dorset and there is a nice pub right next to the beach. Hi my names Eliott I have been collecting fossil for on and off since I was about 7 years old. I’m now 35, but a lot more seriously for the last 3 years whenever I get chance I’m usually getting my hands dirty and would like to show and help people with finding fossils. I really find fossil hunting a very steep learning curve but I like that a lot lol Can’t wait to meet some like minded people along my journey. I have been interested in fossils and all nature from as early age. About 20 years ago I assisted in some research which involved excavating mammoths in Oxford and mapping and measuring dinosaur trackways on the North West coast. My passion was reignited when I watched Dinosaur Britain and joined UKAFH immediately. My favourite fossils are echinoids and anything small, I particularly love sitting on a beach and rootling away looking for the tiny overlooked things.